Finding a vehicle that can handle your everyday commute and your weekend adventures can be a bit challenging. 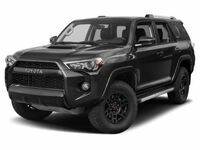 Toyota offers a variety of trucks and SUVs that would be good options when it comes to off-road vehicles, but none of them compare to the Toyota 4Runner. The 4Runner is built with the durability and capability to handle all your adventures. 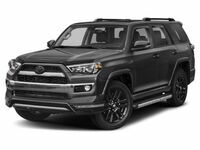 The 2019 4Runner is equipped with a 4.0-liter V6 DOHC 24-valve with Dual Independent Variable Valve Timing engine that provides 270 horsepower and 278 lb-ft of torque. The available part-time or full-time 4WD with Active Traction Control (A-TRAC) and Torsen® drivetrain will give you the power to explore off the beaten path without any issues. 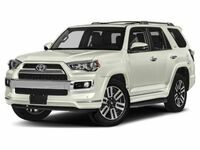 Continue reading to learn about some of the other features that can be found on the 2019 Toyota 4Runner or click on the button below to view our current 4Runner inventory. As we mentioned above, the 2019 4Runner is built for your adventures. The reason that it is such a superior off-road vehicle is the body-on-frame construction. Other features that you will find helpful include the underbody skid plates, a full-size spare tire and ventilated disc brakes. 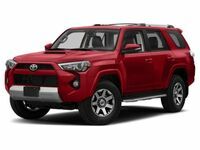 The 2019 4Runner also performs well while climbing and descending steep hills with the standard Hill Start Assist Control (HAC) and the available Downhill Assist Control (DAC). Now that you know the 4Runner is capable, you will be happy to learn that the inside is made up of premium materials to provide you and your passengers with comfort. The 8-way power-adjustable driver’s seat and the 4-way power-adjustable front passenger seat have available heated and ventilated front seats. The bold and rugged look of the 4Runner continues to the inside instrument panel where drivers will find a 6.1-inch touchscreen display and an Optitron instrumentation gauge display. The 2019 Toyota 4Runner has plenty more to offer. Stop by Toyota of Hattiesburg to experience it for yourself or click on the button below to receive more information!